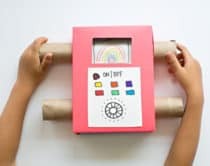 We’ve covered how to find that magical pot at the end of the rainbow with colorful rainbow projects and also how to wear green and be proud. 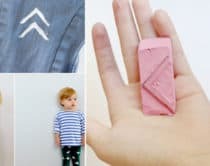 Now’s the time to make your kids feel extra lucky with these cute and clever St. Patrick’s Day crafts to keep your mischievous little leprechauns entertained. 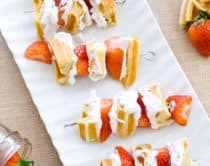 Also see, 12 Delightful St. Patrick’s Day Treats. 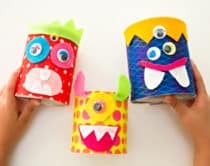 Lucky Poppers (via Studio DIY) Start things off right with green confetti poppers that are easily assembled. 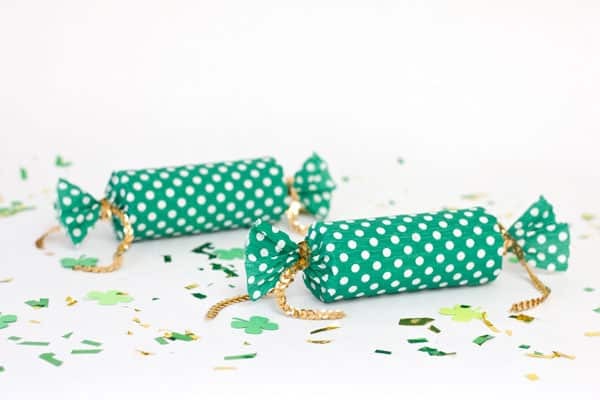 Pop them during a St. Patrick’s day gathering or find someone who isn’t wearing green and douse them with confetti! 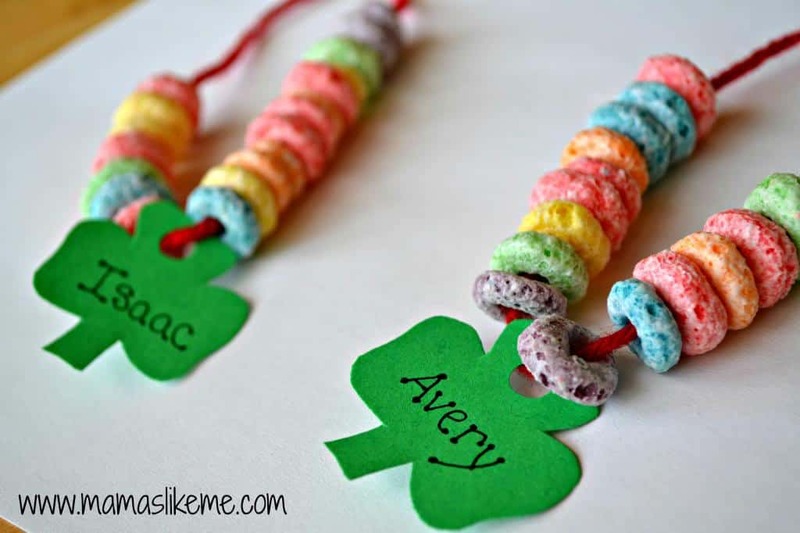 Shamrock Necklace (via Mamas Like Me) These cute rainbow shamrock necklaces are fun for little ones to make and wear. 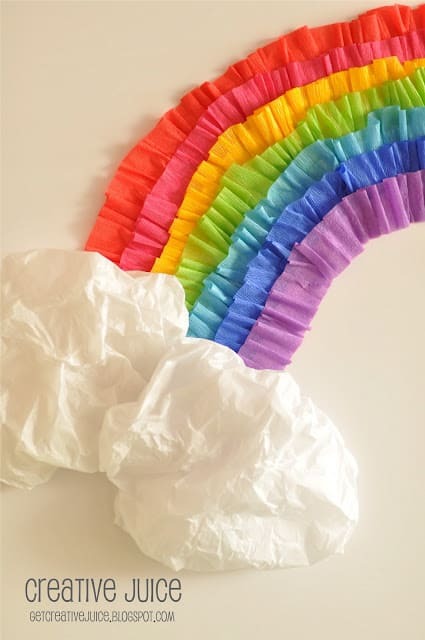 As a bonus, let your child know that they’re the pot of gold at the end of the rainbow. 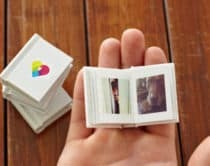 Tiny Leprechaun Gifts (via Handmade Charlotte) Here’s a fun tradition for St. Patrick’s day to start. 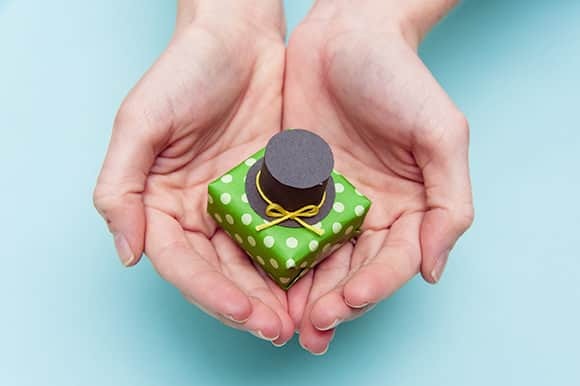 These little gifts are left out for leprechauns and who knows – maybe they’ll even come and leave something in return! 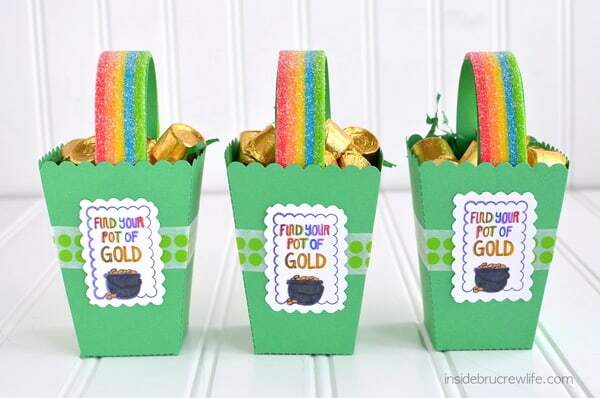 St. Patrick’s Day Treat Boxes (via Inside BruCrew Life) As an extra treat to celebrate St. Paddy’s day – or if you have a party that could use favors – these adorable baskets fit the bill, complete with yummy gold and rainbows. 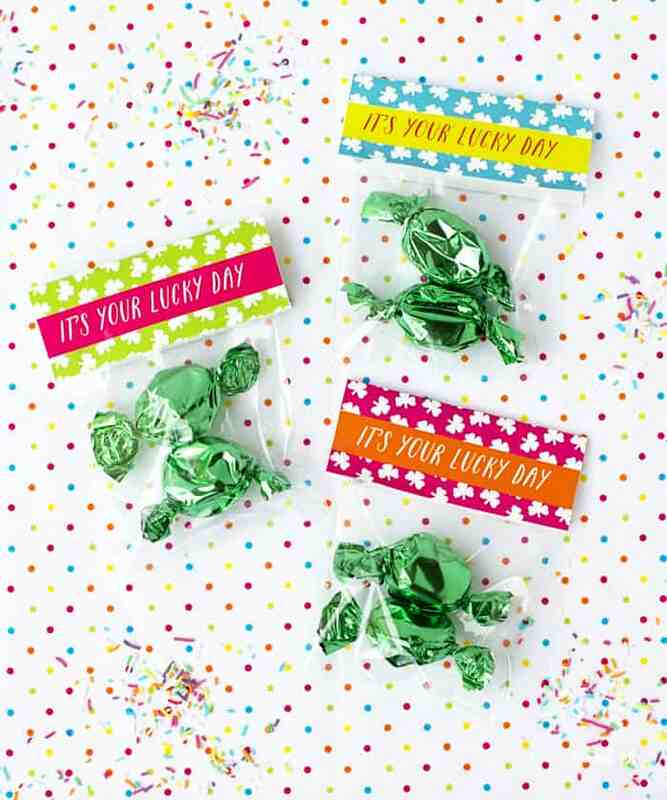 St. Patrick’s Day Bag Toppers (via Penelope & Pip) This free printable set of “lucky” bag toppers is an easy way to celebrate. 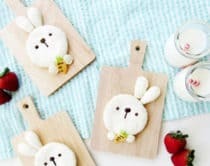 Print, attach to your favor bags and voila, instant festive favors! 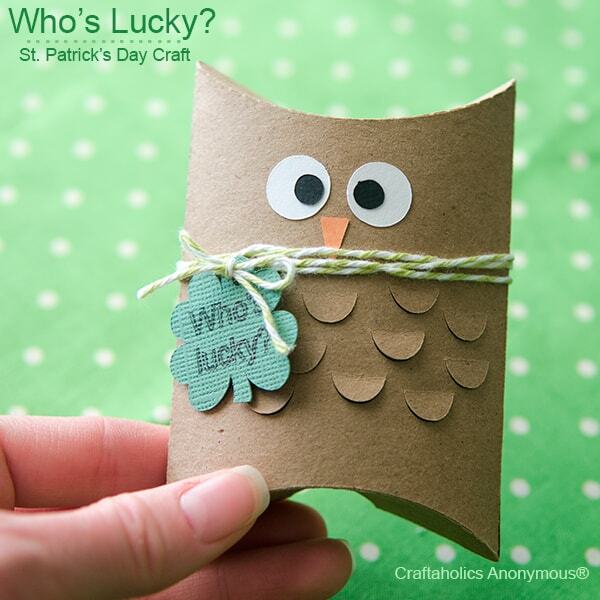 Lucky Owl (via Craftaholics Anonymous) Your kids will have a hoot making these lucky owls. 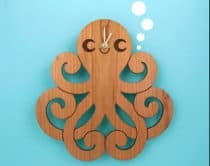 The craft includes a free printable tag to make it super easy to tie off the project with style. 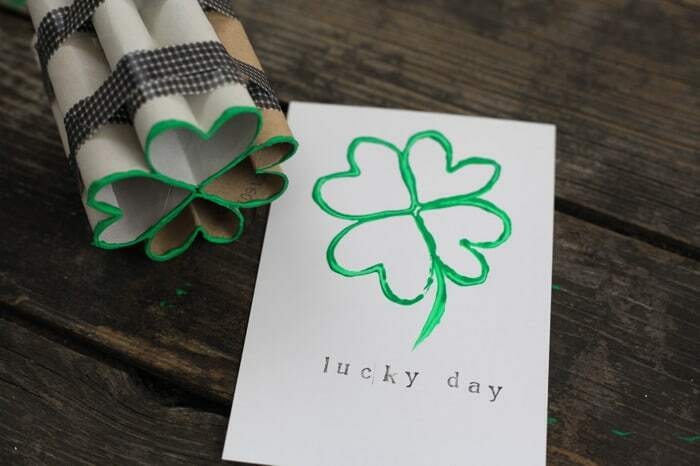 Four Leaf Clover Card (via Pretty Prudent) This is such a neat way to do easy handmade cards for St. Patrick’s Day, centering around the creation of a stamp to paint beautiful four-leaf clovers. 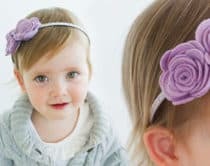 Clover Lei (via Simple As That) Leis aren’t just for tropical weather. 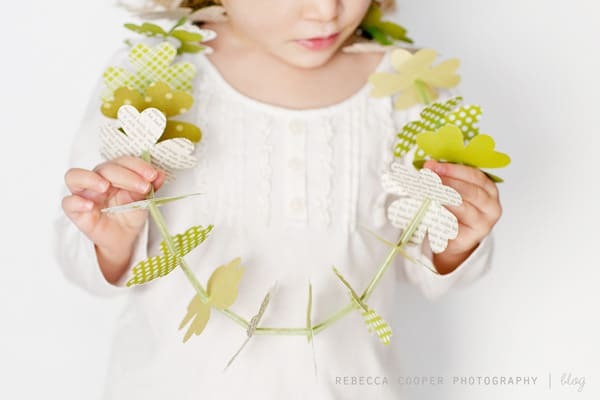 Create easy paper clover leis with the help of a free printable template for a simple and cute way to celebrate St. Patricks’ day. 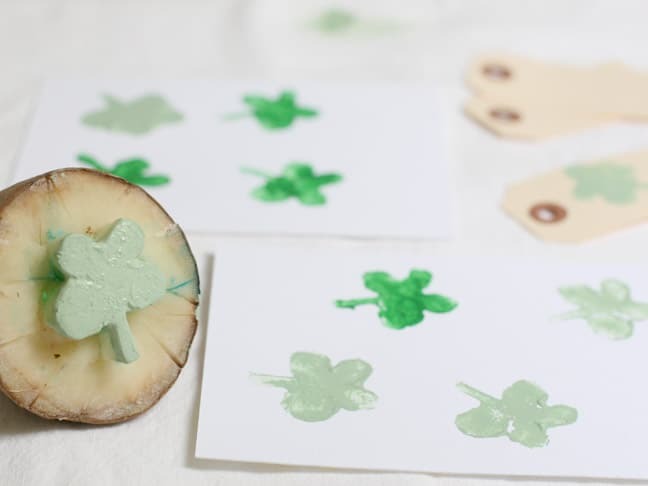 Potato St. Patrick’s Day Stamp (via Momtastic) This DIY clover potato stamp takes a minimalist approach to painting, but with simple and pretty effects. 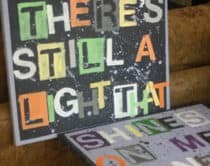 Pot Of Gold Backdrop (via Creative Juice) Here’s a magical and vibrant wall decoration for St. Patrick’s Day (or beyond) that really brings the phrase “pot of gold at the end of the rainbow” to life!